Where to find all 9 Lucky Emblems in the Twilight Town world of Kingdom Hearts 3. 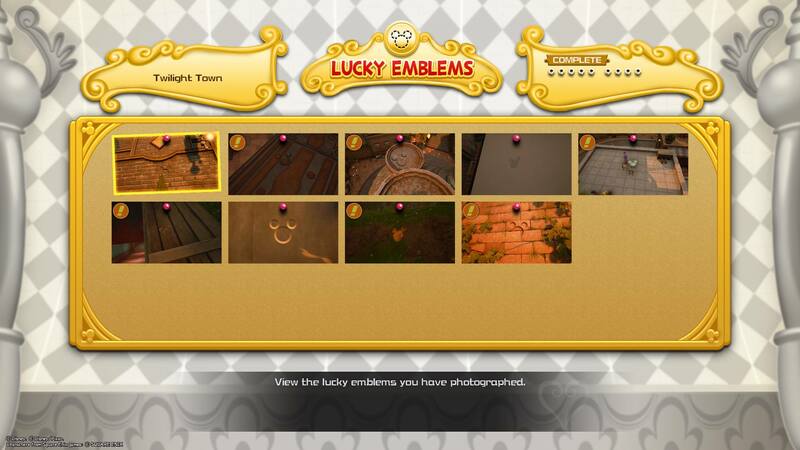 In Kingdom Hearts 3, players will need to find and photograph Lucky Emblems in worlds like Twilight Town in order to unlock the game’s secret video. While most of the worlds have around a dozen Lucky Emblems to find, smaller worlds like Twilight Town have fewer. In Twilight Town, there are 9 Lucky Emblems to find in total. 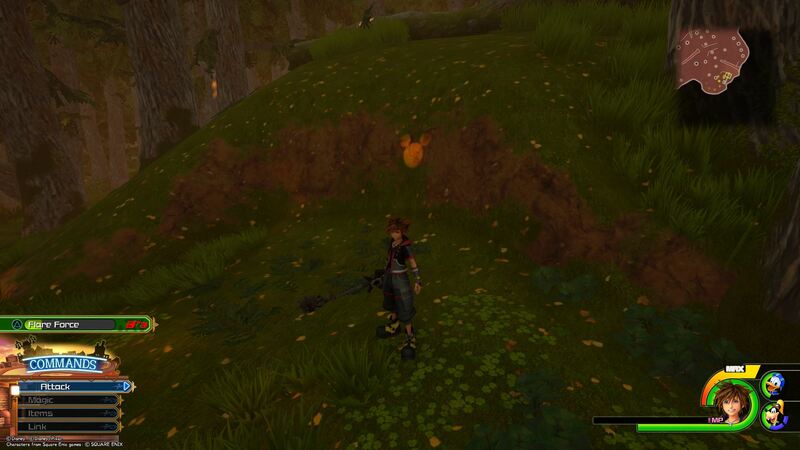 With the exception of 100 Acre Wood, the Lucky Emblems in Twilight Town are the easiest to find. That said, there are a few Lucky Emblems that can be easy to miss. Struggling to find all of the Lucky Emblems in Twilight Town? We’ve got you covered! Below, we’ve put together a quick guide on where to find all 9 Lucky Emblems in the Twilight Town world of Kingdom Hearts 3. There are 9 Lucky Emblems to find in the Twilight Town world of Kingdom Hearts 3. In the Twilight Town world of Kingdom Hearts 3, there are 9 total Lucky Emblems to find. To photograph them, you'll need to use the camera feature on your Gummiphone. This can be done by pressing the touchpad on your PS4 controller, or the Change View button on Xbox One. After you've done this, you'll need to align the square box over the Lucky Emblem and snap a photo. Note that you can zoom in and out using the left and right trigger buttons if you're too close, or too far away. Because Twilight Town is the second world that unlocks, you'll want to return to Olympus later on in the game to collect any Lucky Emblems you might've missed. Having a hard time finding Lucky Emblems in Twilight Town? Below, we've listed where to find all 9 Lucky Emblems in the Twilight Town world of Kingdom Hearts 3! The first Lucky Emblem in Twilight Town can be found in the main courtyard near the first save point. 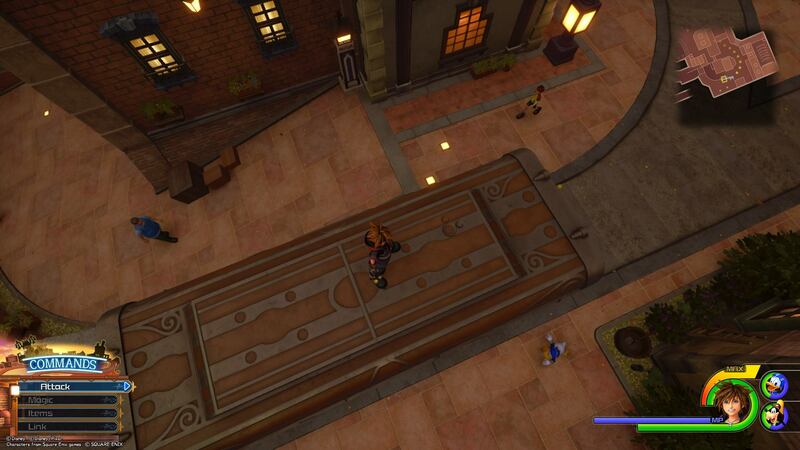 The first Lucky Emblem in the Twilight Town world of Kingdom Hearts 3 can be found in the main courtyard area near the Moogle Shop and Huey, Dewey, and Louie. 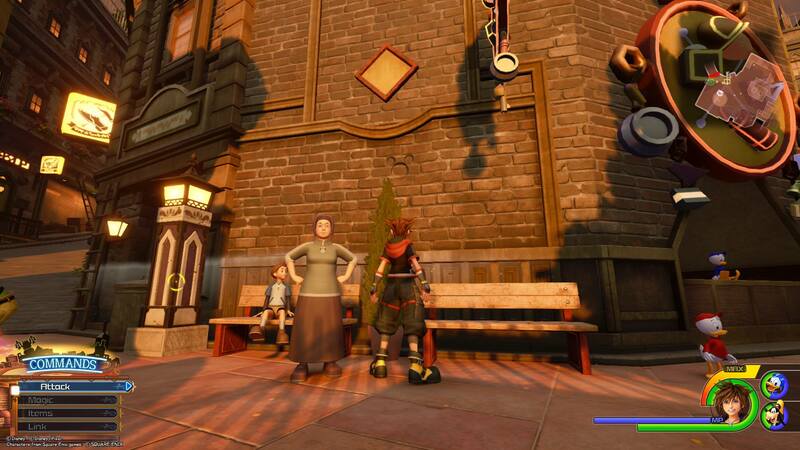 If you look at the wall near where a mother and child are hanging out, you'll be able to easily spot the Lucky Emblem. 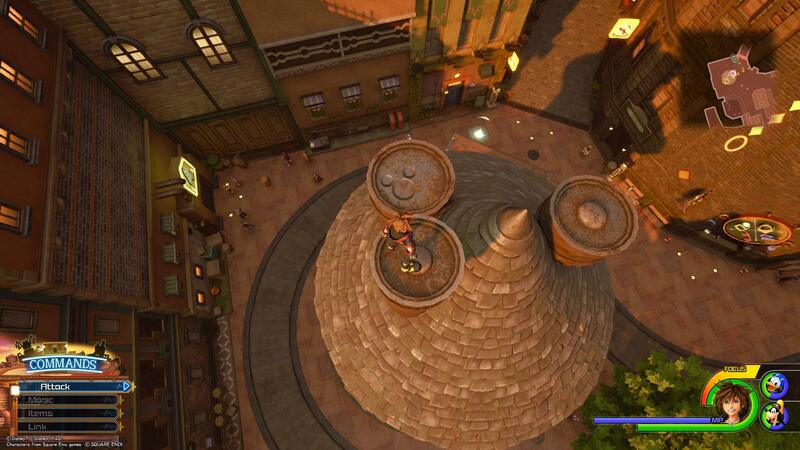 The next Lucky Emblem can be found in one of the chimneys above the Moogle Shop building in Twilight Town. After you collect the first Lucky Emblem, turn around and locate the Moogle Shop. Then, climb up the building until you reach the top. Inside one of the three chimneys, you'll be able to find and photograph the second Lucky Emblem in Twilight Town. The third Lucky Emblem can be found on the roof of the trolley that runs through Twilight Town. If you stand near the Moogle Shop or the Bistro, you may spot a trolley that runs through Twilight Town. To find the third Lucky Emblem, jump on top of the trolley then look near the back end. There, you should see the third Lucky Emblem blending in with the trolley's roof design. Watch the black and white film of Sora and Mickey until the end to spot the fourth Lucky Emblem in Twilight Town. 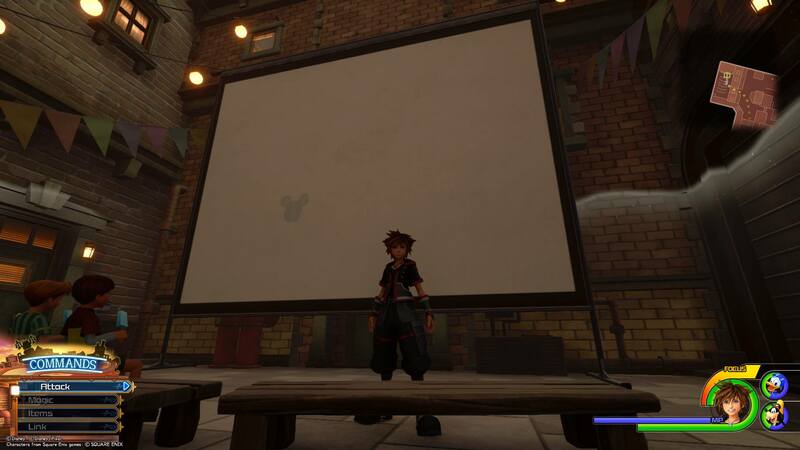 In Twilight Town, you'll be able to watch a short, black and white film featuring Sora and Mickey. Wait until the movie has finished, and when the screen goes blank, you'll see the fourth Lucky Emblem appear. 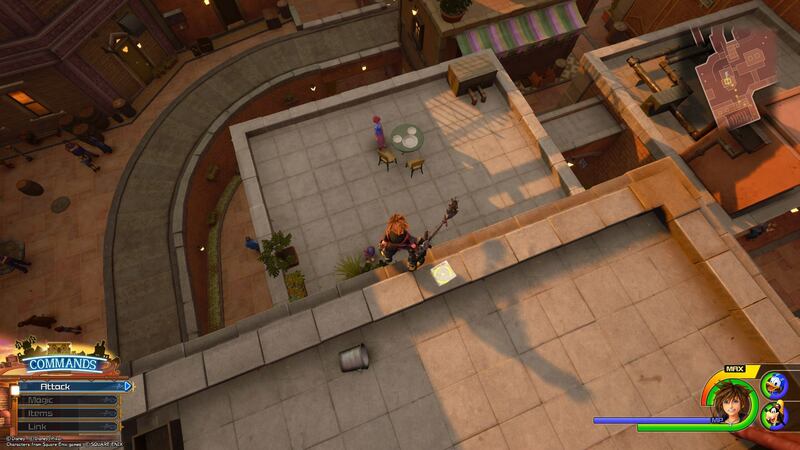 Explore the rooftops in Twilight Town to spot the fifth Lucky Emblem. Once you've collected the fourth Lucky Emblem on the movie screen, climb up to the roof of the nearest building on your right and head towards the Bistro while keeping an eye out for an area with a series of tables. On top of one of these tables, you'll see three plates arranged in the form of the fifth Lucky Emblem. The next Lucky Emblem can be found after you exit the underground tunnels leading towards The Old Mansion in Twilight Town. To collect the sixth Lucky Emblem, make your way through the underground tunnels towards The Old Mansion. When you exit, turn around and look at the door on the right side. There, you'll find the sixth Lucky Emblem. 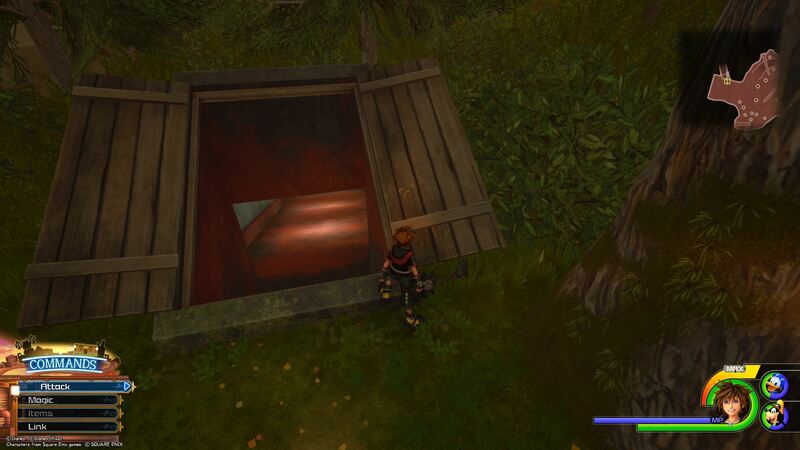 Scale the large wall near the underground tunnel exit to find the seventh Lucky Emblem in Twilight Town. Immediately after capturing the sixth Lucky Emblem, turn and scale the large wall near the underground tunnel exit. 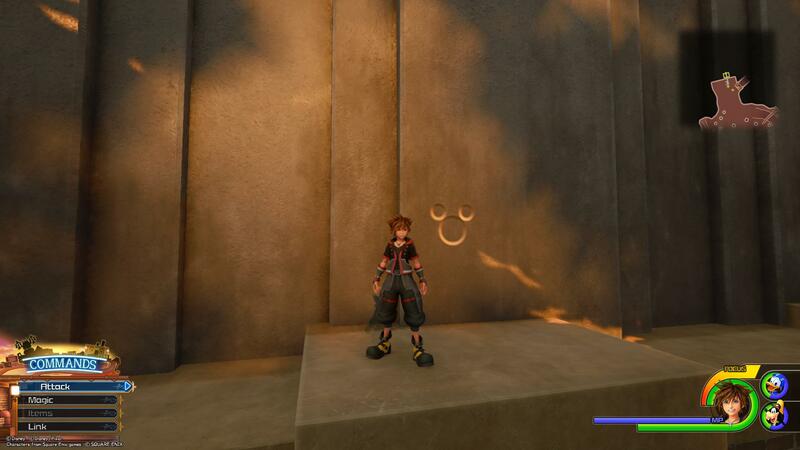 When you reach the ledge, you'll find the seventh Lucky Emblem imprinted into the wall. In the forest leading towards The Old Mansion, head to the right and look for a Lucky Emblem on a small hill. Proceed through the forest towards The Old Mansion, then take a right before the path that leads underneath the fallen tree. Keep an eye out for filtering sunlight rays as they'll lead you to a small hill with the eighth Lucky Emblem on it. The final Lucky Emblem can be found on the wall surrounding The Old Mansion in Twilight Town. 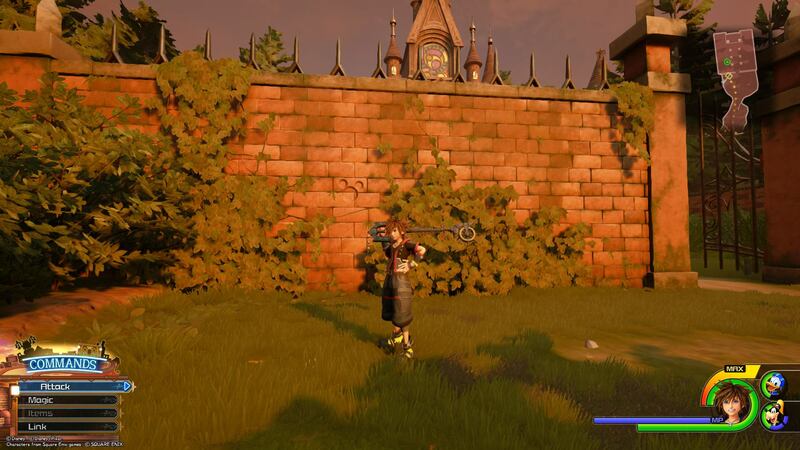 When you reach The Old Mansion, look at the brick wall that surrounds the building. On the left, you'll find a small Lucky Emblem between a set of climbing vines. By finding and photographing all 9 Lucky Emblems in Twilight Town, you’ll be that much closer to unlocking the secret video for Kingdom Hearts 3. Plus, the more Lucky Emblems you photograph, the more in-game rewards you’ll earn. So, were you able to find all 9 Lucky Emblems in Twilight Town? Which Lucky Emblem was the hardest to find? Let us know down in the comments below! For more on Kingdom Hearts 3, be sure to check out some of our previous guides including where to find all 12 Lucky Emblems in Olympus, the complete world unlock order in Kingdom Hearts 3, and all keyblades in Kingdom Hearts 3.